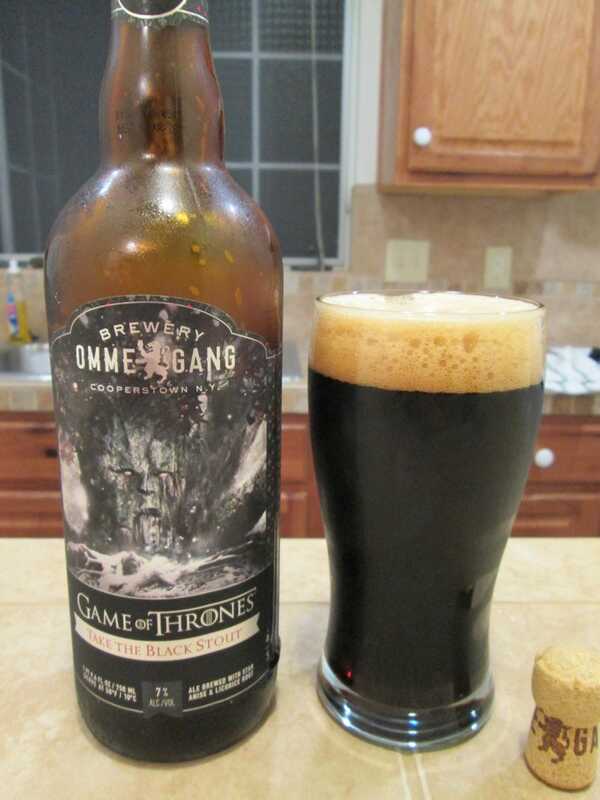 I have no particular attachment to Game of Thrones, nor do I care much for novelties, so I formed my opinion of the beer based purely on its merits as beer. And I was quite impressed. I will probably buy a couple more while they’re available. I was expecting it to be thick and hearty, and I was right, but damn was this beer smooth. I have had a lot of stouts, and this could stand with the best. That classic velvety finish is pure perfection. Honestly though, there’s not much more to say here. Take the Black Stout is essentially a perfectly executed example of what a stout should be – and nothing more or less. There aren’t a lot of other flavors lurking there, at least not that I could detect, though I admit my palate may be deficient. This is the beer I would give someone who didn’t know what a stout tasted like, and I wanted to give them an excellent representative sample of the type. Lastly, though I am sure this is obvious to everyone, this beer is best enjoyed with a friend. It is a very heavy beer, and you will probably not want to drink an entire 750 ml bottle alone on a Monday night. So, um, I can get back to you tomorrow about whether it still tastes good after it’s been opened and re-corked for a night. So, Take the Black Stout is definitely worth it for more than the novelty’s sake.